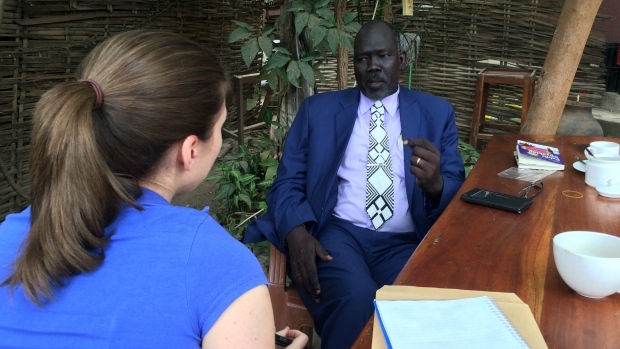 While in Juba, Kayla Hounsell sits down with Barnaba Okony Gilo, who attended Coady International Institute at St. Francis Xavier University in Antigonish, Nova Scotia. Barnaba Okony Gilo wears a tie clip bearing the flag of South Sudan. On his lapel, the flag of Canada. Gilo is a graduate of the Coady International Institute at St. Francis Xavier University in Antigonish, Nova Scotia. Established in 1959, the institute educates development professionals from around the world. Gilo has agreed to meet with me in Juba to tell me about his experience at Coady in 2008. But there is no peace and harmony here in Gilo’s homeland. That is why he chose to focus his studies at Coady on conflict transformation and peace building. Gilo is now a politician in South Sudan’s governing party, the Sudan People’s Liberation Movement (SPLM). 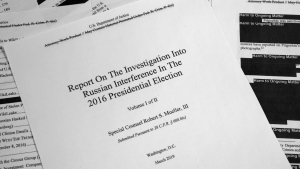 He was elected to his state Legislative Assembly in 2010 and named the Deputy Chairperson for a specialized committee for education and health. He is now Chairperson for Legislation and Legal affairs. A former director of a national NGO for the demobilization of child soldiers, he is also among three people competing to become Secretary General of the SPLM party. Gilo and I are meeting during what is the middle of the night in the Maritimes but back in Antigonish, word of our meeting is spreading fast. 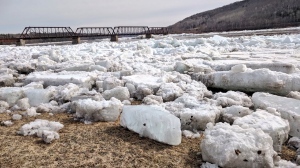 I receive an email from Gord Cunningham, Assistant Director at the Coady Institute. "I’m sure it warms the hearts of all Nova Scotians to hear Barnaba crediting his Coady experience at StFX for helping develop the skills it takes for him to lead and serve the people of South Sudan during such a critical period in that new nation’s history. We are tremendously proud of Barnaba and the thousands of other Coady graduates that work tirelessly and selflessly for the betterment of their communities, day in day out, around the globe." Throughout our discussion, Gilo repeatedly expresses his thanks for the Coady Institute, the people of Canada and the people of Antigonish. 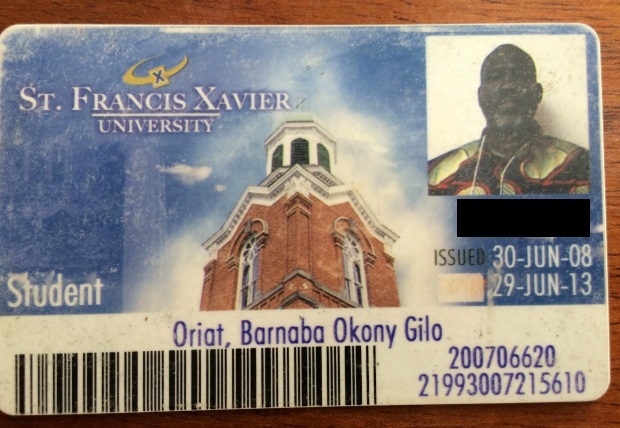 Gilo's ID card from St. Francis Xavier University.